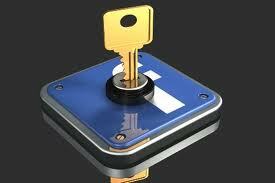 There are so many people in Social Network Sites who want to keep their details private. Hiding the details which we enter in the field when we create a new id is now days becoming popular. Here is a guide on how to hide details from unknown people in the Facebook. Still many people desire to do but they aren’t unable to process it out and make their details unhidden. People want to keep details in themselves so that no one display or discuss them. Even some of things which user would like to do is make his profile hidden and the way it does can be worked out. You can make for every option as a private by entering your choice and make it look that no one else reads it because it can be certain that sometimes those question might have a private question which you would have answered to secure your id and password. First sign up account in Facebook or login into it if you have an id one. There on the top right, go to small box at the end which display drop down like box with each fields presented there. In those fields represented in the drop down box, select the privacy settings options as such. The privacy settings thus opened,just see under the heading Control Your Default Privacy. There you can see Public, Friends and Custom. Choose Custom,and a pop up appears stating Privacy Settings. You can see two fields there stating Make this visible to and Hide this from. Under the field make this visible to, you can choose your friends or friends of friends to see your shared information and other related details. And under the field Hide this from you can choose or blacklist the people from seeing your personal details just by specifying their name in the text box field. Now the final step is to save the changes. And now your details are made private in the Facebook. Once those details are made private then you can still have some more privacy options in the same window. Just under the Control Your Default Privacy window many other options such as How you connect, how tag works blocked people and apps; on modifying you can make your privacy more secured. I guess my setting isn’t the same as you explain here. When I go to custom it asks me who I want to see my stuff and I just have friends. I don’t allow anyone who it not a friend of mine to see my information. I set all of that up previously before Facebook made yet another switch so I know I’m good. Thanks for sharing this though. I remember Once I had visited a lady profile looking generous but couldn’t find more details about her.I could just able to know her name and when I sent friend request to her,it says do you know this person? I think she had secured her Facebook account with such tricks. Hello Saanvi, We are glad that you found this post useful.